Acrylics Anonymous, Issue #046 -- Solving your (painting) problems since 2012. Take some time to plan your painting, figuring out problems before they arise. Click the link below to access. 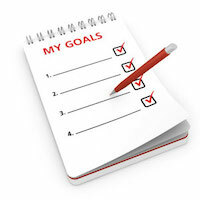 Write down a goal list for your artistic development this year (we’re all artists, of course, so you don’t have to stick to it). You may not realise how much information is online in our previous workshop notes. These are extensive notes from our workshops - an extremely valuable resource for your painting progression. Take some time in the holidays to peruse them at your leisure. Mark has just come back from his latest jaunt to this tiny Solomon Islands village, and has a lot of wonderful progress to report on his school project, and much more. 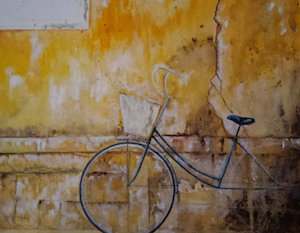 This month we’re focussed on Aussie artist Kurt McGregor. 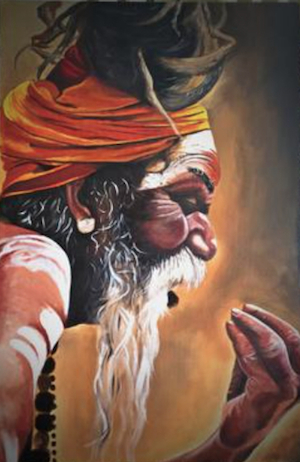 A fantastic use of colour and composition giving this gorgeous and striking, dynamic painting, “Chapati”. Excellent work Kurt! Ruth Oosterman collaborates with her toddler to create some fabulous artworks! One way to get over painter’s block :) This one, “Mr Hare” - is amazing. Click here to see something quite different! Artspan Founder and Managing Director Eric Sparre believes that the Internet is “a great leveler of the playing field for artists”. This article is an interesting read on how to become a commercially viable artistic operation, remembering it’s just one man’s opinion of course. Click here for another opinion on how to do this art business stuff. This month’s painting comes from friend of the Lennox Arts Collective and “student” of Mark’s, Lyn Pool. 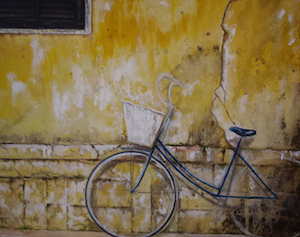 The idea of this painting came following a visit to Hoi An, an enchanting, historic trading port in Vietnam. The ancient, ochre yellow buildings that line the river were water stained, cracked & scarred from the constant floods & each seemed to tell its own story. I really wanted to try & capture this. This was a very new subject for me & full of challenges but one that I really enjoyed. Hope you do too. I made a quick sketch to create some balance & perspective to my work & then mud mapped in my colours. I was unsure of how to create the mouldy, stained appearance of the building. Mark suggested that I splatter the acrylic paint on & roll it around the canvas. 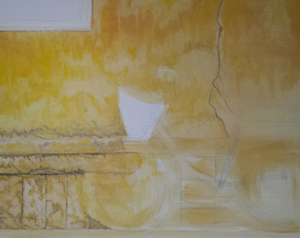 I initially found this to be very challenging as I’m more of a ‘neat’ painter & it felt like I had lost all control. But with his encouragement I persevered & found it to be quite fun … and messy. Note to self … next time cover floor with drop cloth. Next came my bike, and I discovered round shapes are not easy. I tried using several different bowls, plates & contemplated a wheel with a puncture. Those self doubts crept back into my mind! I needed a break from circles … onto a square shutter, much easier. Finally I added a few highlights, a few more details and (Mark’s suggestion again … I’m so lucky to be a student in his class!) I added the bike’s shadow to create a bit more depth. 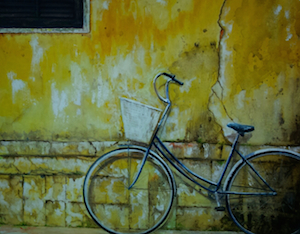 So here is my ‘punctureless’ Hoi An bike … I learnt so much along the way & am now onto my second Hoi An bike, more fun, more mess!